SliceMatrix-IO(beta) is a machine learning platform. What makes SliceMatrix-IO(beta) extremely powerful is that there is LITTLE CODING experience required to get STARTED! 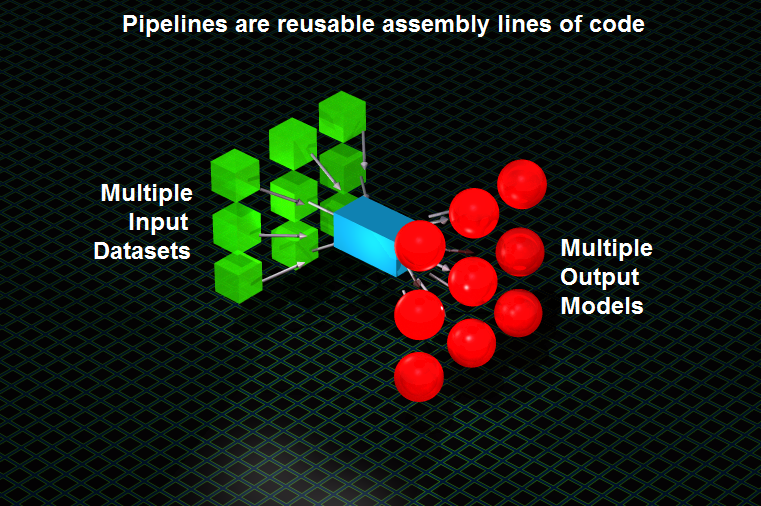 With a FEW LINES OF CODE, users can build machine intelligent models and systems. Users access SliceMatrix-IO(beta) via Python SDK which is designed to get users up and running fast with a few lines of code. Through SliceMatrix-IO(beta) users have access to cutting-edge machine intelligence algorithms WITHOUT the PAIN and EXPENSE of setting up their own machine learning infrastructure. With just a FEW LINES of CODE a user can build powerful machine intelligence applications. For examples traders can develop predictive trading strategies, similar to top quant hedge fund managers. Or an entrepreneur can build a music recommendation engine for that new music streaming service app. SliceMatrix-IO(beta) Multi-Output Regression algorithm learns the mapping from an input feature space to a multivariate output space. Access your SliceMatrix-IO(beta) models from different regions around the world in real-time 24/7.